Garage doors are no longer limited to your standard, steel roller options. 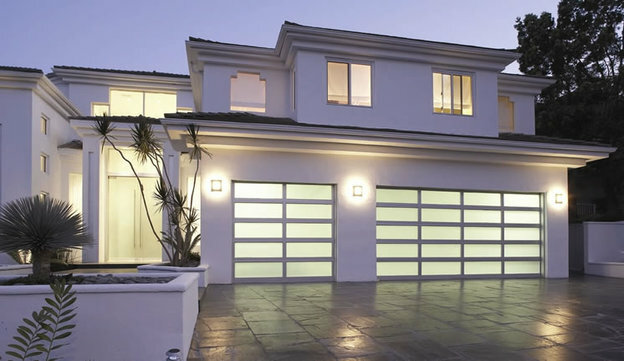 With the advancement of technology, garage doors are available in a range of different configurations, with various opening mechanisms and designs. Whether you use a traditional or a more contemporary wood, wooden garage doors add a touch of nature to the exterior of any home. Wood fits in with almost all other décor styles, and is a timeless option. Whilst this may once have been considered an odd option for residential use, this style has become more popular in recent years. The industrial look as we know it today has a way of transforming something basic and utilitarian and making it look modern and bold; especially when paired with bright colours. Thanks to the invention of sectional garage doors, windows can now be inserted into garage doors to allow light to flood into the garage and make it feel more like an extension of the rest of the home.